Agile Cigar Reviews replace what we termed “Assessment Updates”. The concept is the same, but the name is different. Agile Cigar Reviews use a lightweight, shorter format. These will never take the place of our comprehensive reviews. They are only used on blends we have previously assessed. This might be a blend we are re-scoring or providing a score for a first time. It might be a blend we are looking at in a different size. 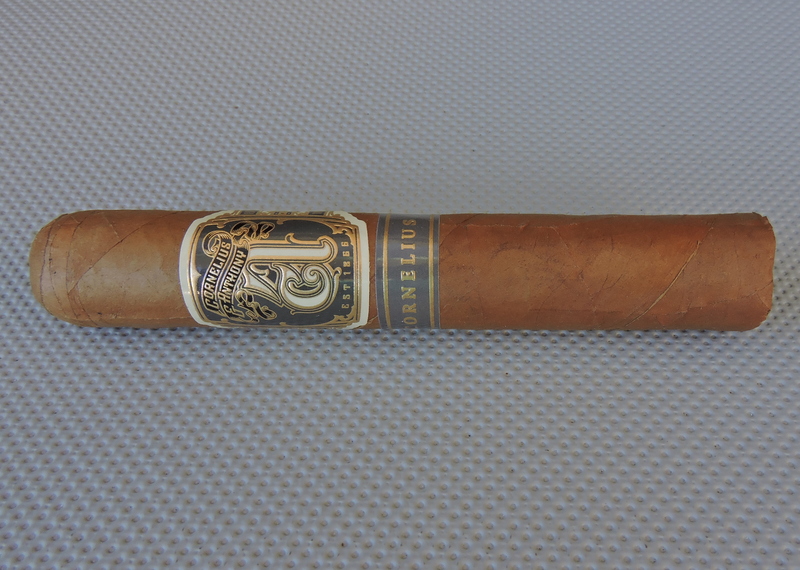 Today we look at Cornelius by Cornelius & Anthony in the Robusto size. This is a cigar line we have previously assessed in the Toro size back in April, 2016. In 2016, Cornelius & Anthony Cigars re-launched its portfolio by unveiling four releases. The first of those four releases is the Cornelius. Cornelius & Anthony is the premium cigar division S & M Brands. S & M Brands is owned by the Bailey family and run by Steven Bailey. The family has over 150 years in the tobacco industry. The Cornelius cigar pays homage to Steven Bailey’s great grandfather, Cornelius Bailey. It was Cornelius Bailey who ran the family’s tobacco business when it was established back in 1866. Back in April, we looked at the Cornelius Toro. Today, we take a look at the Cornelius Robusto. Of the four offerings in the Cornelius & Anthony portfolio, the Cornelius is unique in that it is produced at El Titan de Bronze in Miami, Florida (the other three offerings are made at La Zona cigars in Esteli, Nicaragua). Common to many El Titan de Bronze cigars, the Cornelius utilizes an Ecuadorian wrapper and binder over Dominican and Nicaraguan filler. The Robusto is one of three sizes in the portfolio. The Cornelius Robusto delivers notes of natural tobacco, cedar, wood, and white pepper. The cigar was in a similar wheelhouse to what I got when I smoked the Cornelius Toro. The main difference is the sweetness on the Robusto seemed to be much more refined. Like the Toro, there was an increase in spice during the last third, but it never became overpowering. The flavors seemed a little more bolder on the Robusto as compared as I assessed this as a medium to full-bodied smoke. The strength held at a medium level. When I assessed the Cornelius Toro, I mentioned that I felt this cigar had some aging potential. The Cornelius Robusto has been aging for four months, and I believe this prediction is coming to fruition as I have sen this cigar become even more enjoyable with time. Overall I gave an edge to the Cornelius Robusto. It’s a nice cigar for both the novice and experienced cigar enthusiast. This is a cigar I would smoke again. It’s a little pricier, but it does deliver a high quality smoke – worthy of a fiver.